Looking for a great Mac system but you don’t want to pay for the whole purchase up front? Interested in picking up a great iPad but the cost of what you need is more than you want to pay all at once? We’ve got you covered! Mac Outpost and Outpost2 offer great financing options for qualified purchasers! We can set up financing for your Mac, iPad and all the accessories to make your purchase complete! 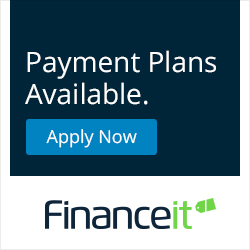 We’ve partnered with FinanceIt to ensure great rates (as low as 6.99%) and an easy, no hassle application and approval process! Trust our team to help make your dreams a reality. Stop in today to get started! Drop in to Outpost2 or Mac Outpost for more details.